The challenge for the classroom teacher, however, is that students with a wide range of reading proficiencies are expected to tackle the same tasks - even when their skill sets vary greatly. 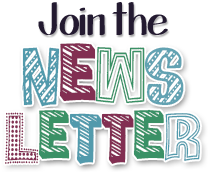 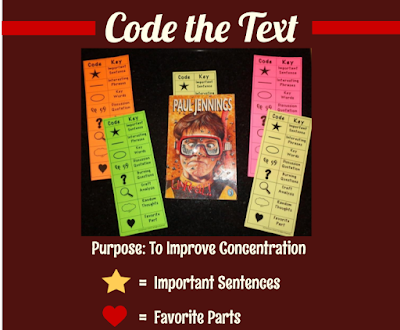 Let’s look at few strategies that will help kids - at any reading level - uncover discussion-worthy portions of complex text. 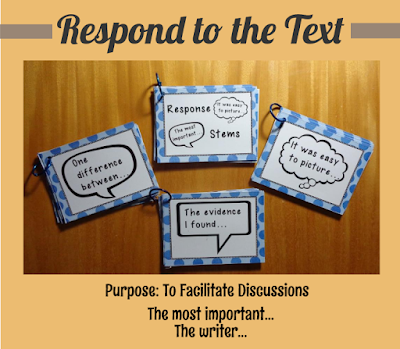 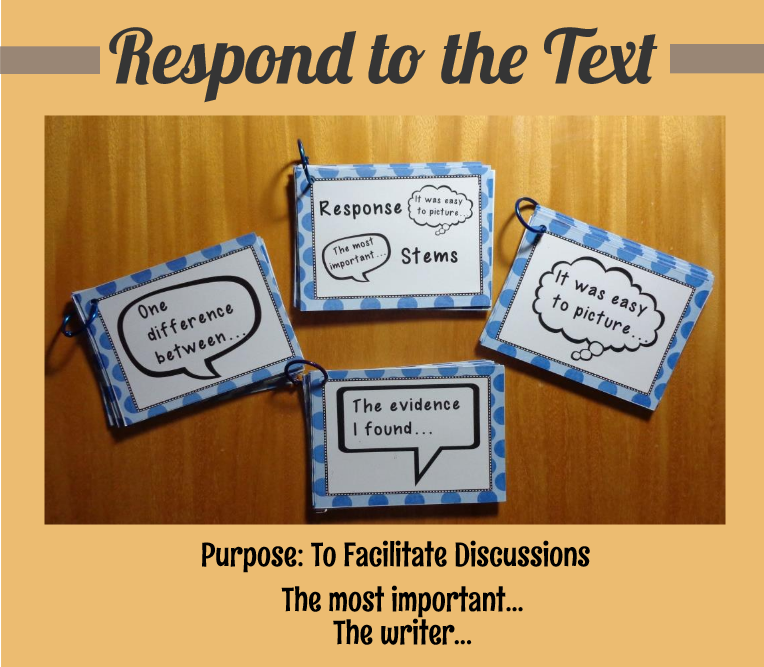 Post response stems around the room which, by design, guide students to create questions that will lead them more deeply into text. 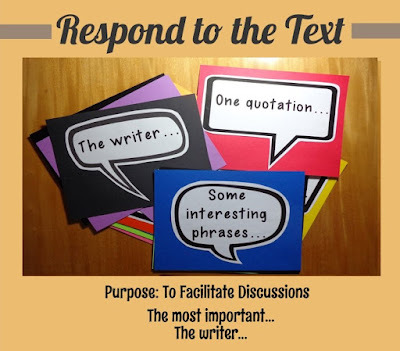 An alternate way to help students respond to the text is to have them create a deck of sentence stems which they will use as reference tools throughout the year. 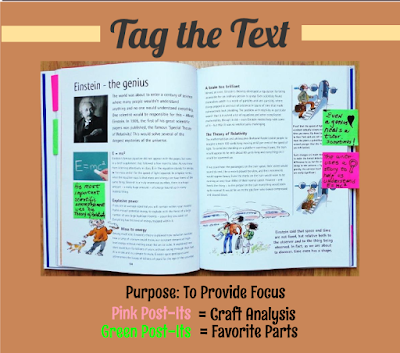 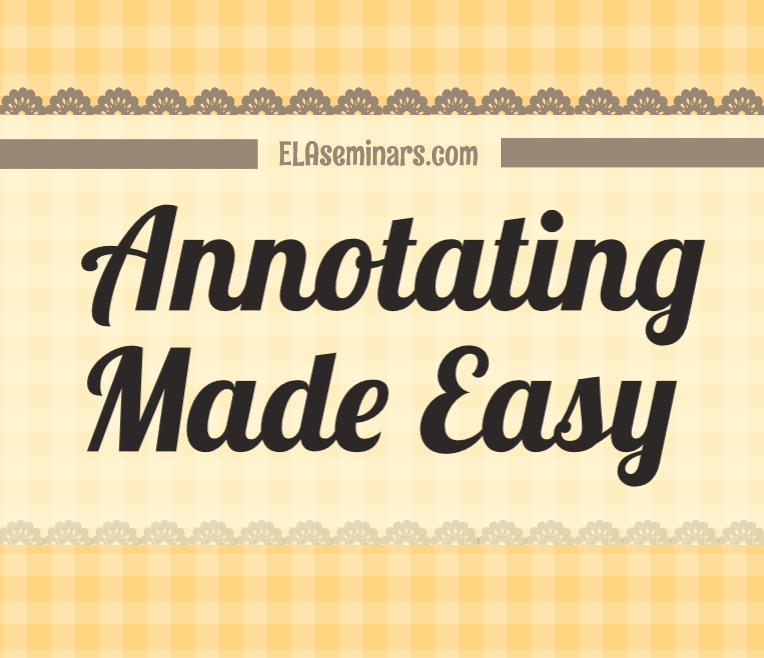 One way to help students move from simple annotation techniques to more sophisticated ones is to give them a guide (or a cheat sheet) that will help students examine more difficult aspects of a text. 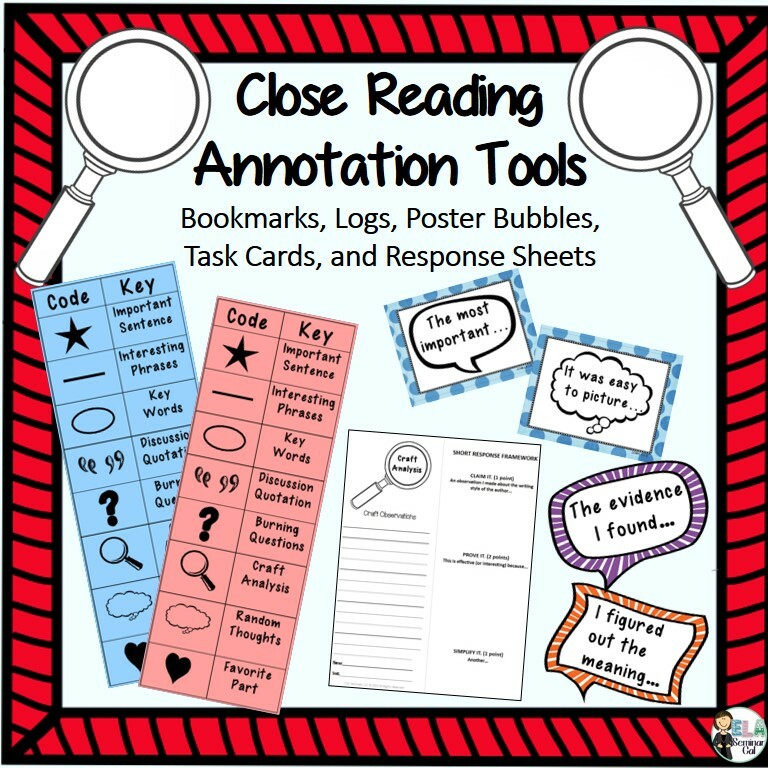 Get Free Instant Access to Close Reading Cheat Sheets here. Until next time…stay committed…teach with passion… and inspire students with who you are.